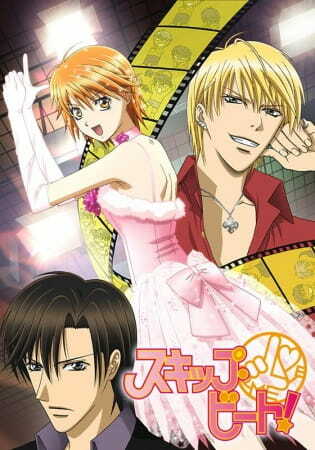 Eng Title : Skip Beat! Alt Title : Skip Beat! Kyoko moves to the big city with the prince of her dreams Shotaro; he wants to make it big in the entertainment business, so she works hard at many different jobs to support him as he achieves his dream. However, one day, Kyoko accidentally discovers the horrible truth: the love of her life thinks of her as a 'plain and boring woman!' Outraged, Kyoko swears revenge – she will make it even bigger than Shotaro in the entertainment world. The only question is, how will she fulfill her desire?